Actually, technically in the way of rigging is quite simple, just use 'wire parameters' for the interaction of rotation on some objects, such as door, glass cleaner etc. While flexibility impression all of the car body part is made by FFD Box. The process for FFD Box is, choose some point on the FFD Box then controlled by the modifier 'Link XForms', does towards a spline controller which supposed to used. First think first, make sure that the 3d model has been unwrapped, you may also save the layout of the wire rendering (uv template) to assist in the painting later. 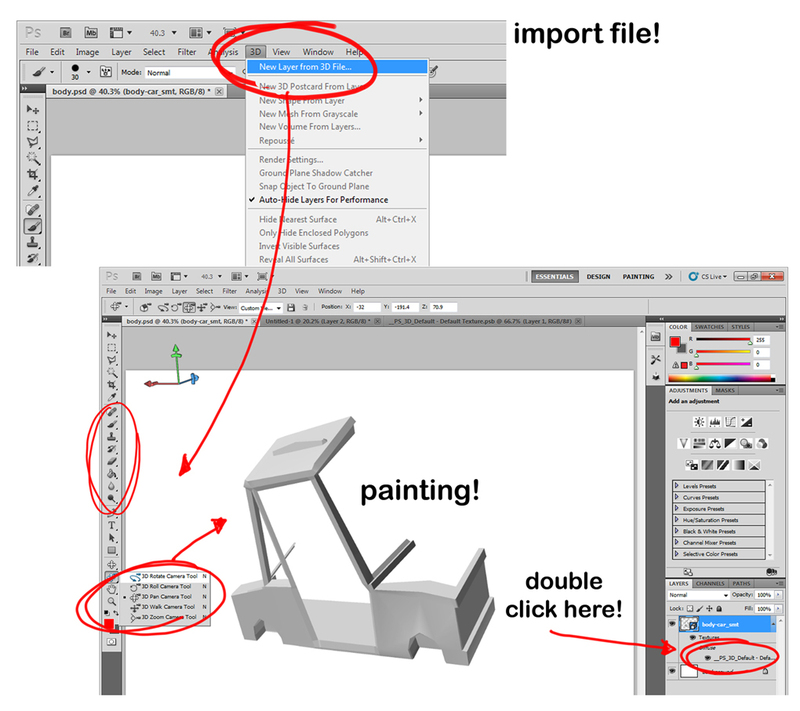 Then export the selected object in "Obj". ...well done, switch to Photoshop (CS 5). Sometimes we may give it material 'checker board' for checking whether the uv mapping correct. 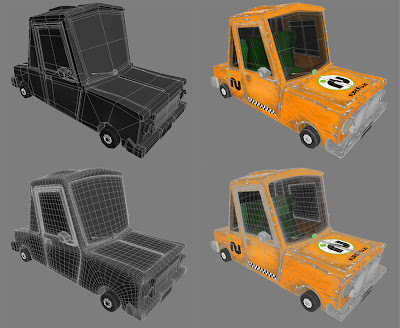 and high poly (220,000 poly in subdivision 2). Tidak pakai plugin. 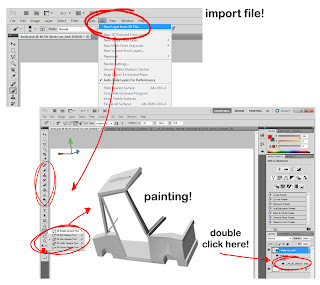 Photoshop CS5 memang bisa untuk import obj 3D, kemudian kita paint disitu juga.